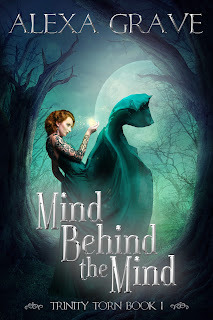 So, Mind Behind the Mind may not have made it to the finals for the 2017 Self-Publishing Fantasy Blog-Off (SPFBO), but I figured I'd whip up a quick post to list the 10 finalists! Now, I haven't read any of the titles yet myself, though I have my eye on a few (and already have at least one waiting on my Kindle -- those darn kids of mine are making it hard to find time to read). But the reviewers who have given these a thumbs up know their stuff, so you may want to consider giving some of these titles a try. You can find links to all of the reviews of the finalists so far on Mark Lawrence's Blog Post. Also, if you've read any of these titles, please let me know what you thought about them!